I spent 6 incredible days in the beautiful Barcelona and still wish that I had been there longer. I only began to touch the surface of what this fantastic city has to offer. Since I was here for the most amount of time, I thought it would be best to break up my posts so that I don’t overwhelm you all with too many photos and information at once. 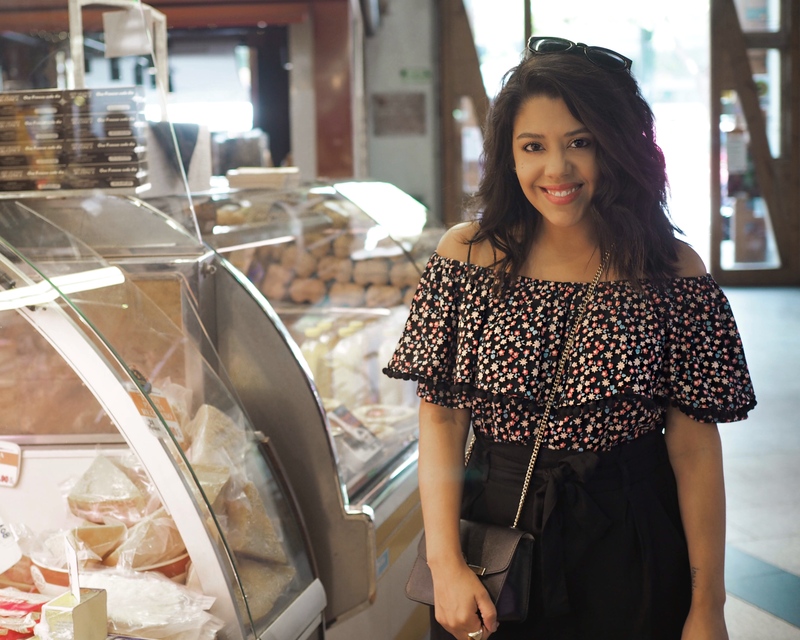 My travel diary/guide is coming next week, but I wanted to kick things off with a really fun food tour that I did on my third day. As a solo traveler, I highly recommend setting yourself up with at least one or two tours during your trip. This is such an incredible way to meet new people and make friends. They also provide you with so much information and history about the city/country as well as giving you the ability to experience the culture in a different way. One of my favorite kind of tours involves food, of course! 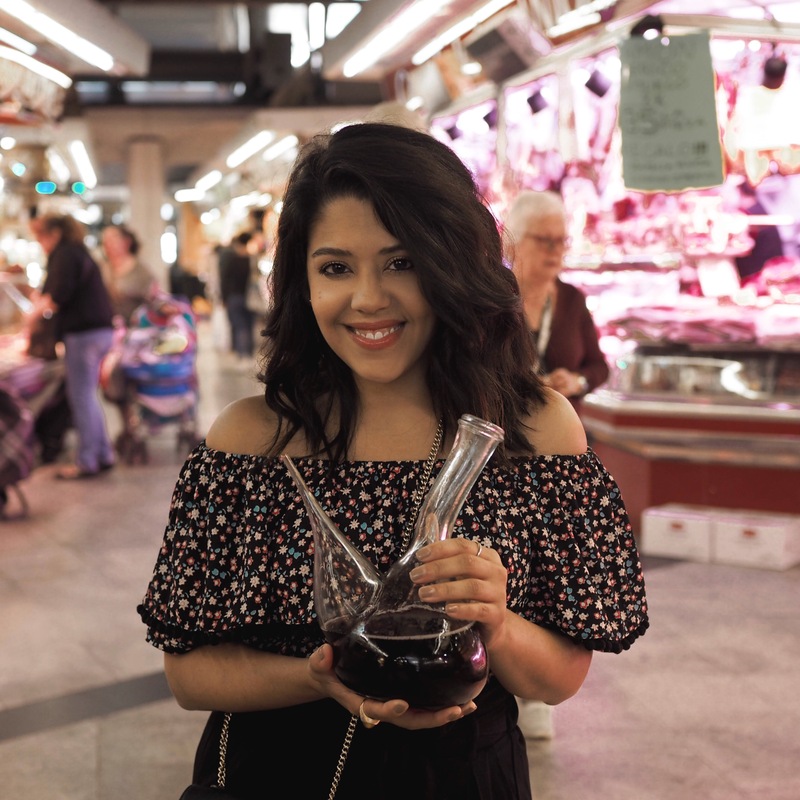 I absolutely love trying new food when traveling and these kind of tours allow you to taste things that you probably wouldn’t have on your own. They’re also a bit more intimate as the groups tend to be small. 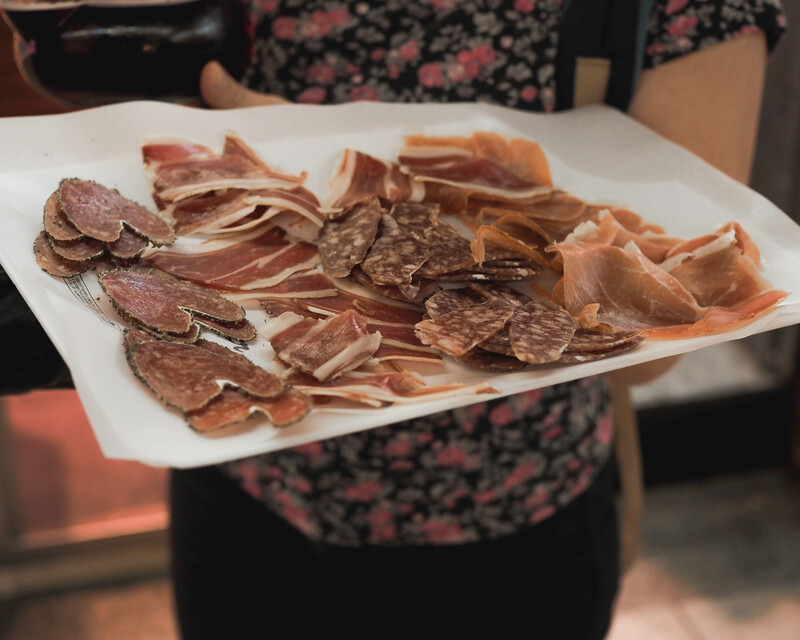 I got in contact with Devour Tours, a small team of food lovers providing a bunch of different food tours around Spain in places like Barcelona, Madrid, Sevilla and Malaga. They have amazing reviews on Trip Advisor. You can watch their story here, I love it! 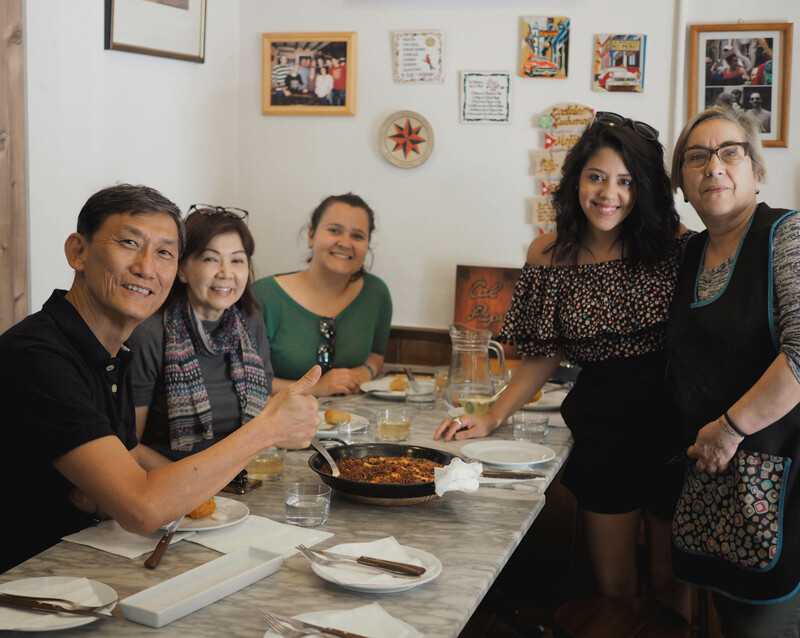 They set me up with the Taste, Tapas and Traditions Tour. This included a light breakfast and full lunch with a total of 3.5 hours. 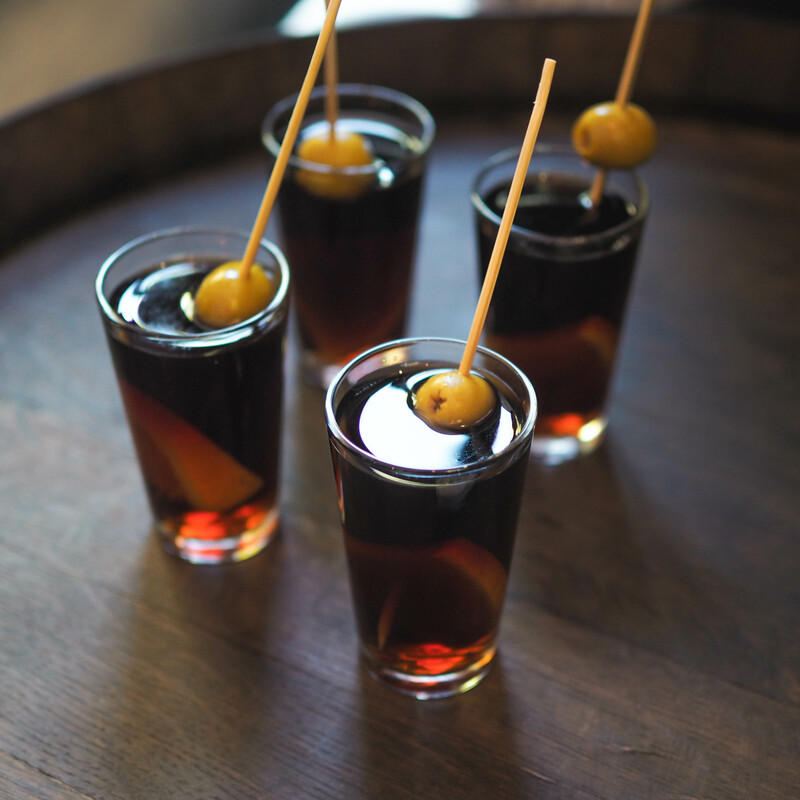 Each tour lists out what you will be tasting so that you know what to expect. One thing to note is that they don’t recommend these tours for vegans, vegetarians and those who can’t have gluten. Prices, locations and duration will vary depending on the tour you choose. There’s a bunch of options! 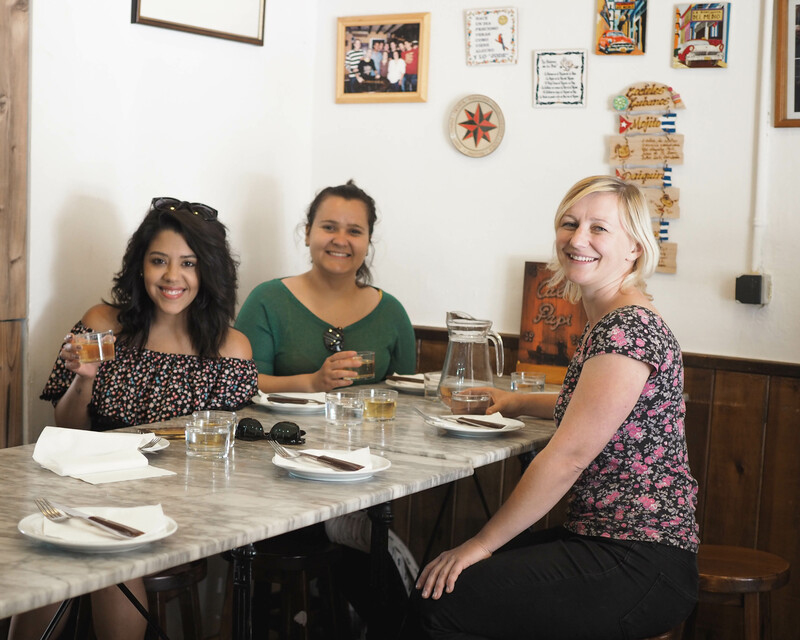 Our walking tour had 7 different stops where we got to try some of the best local foods along the way, including some tastings of cava, vermouth and wine. 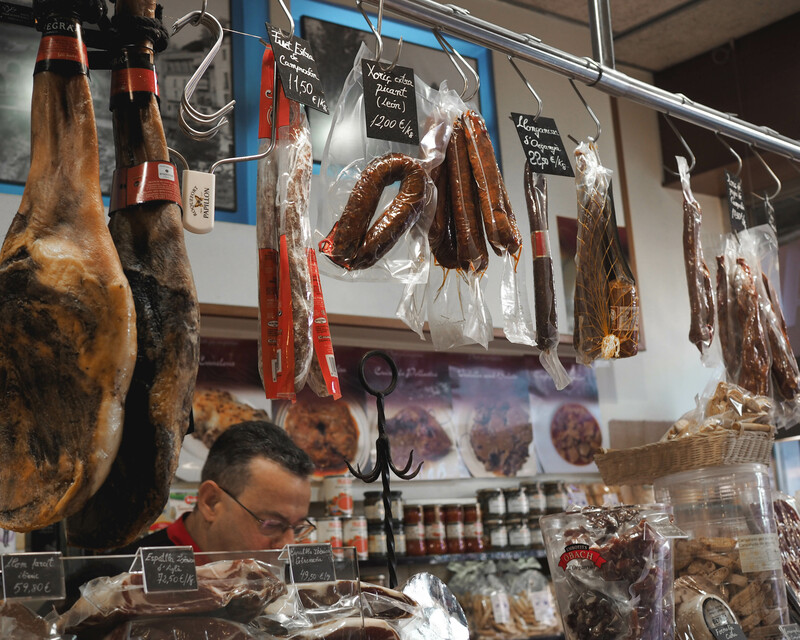 Even though you’re a tourist on a guided tour, you get to experience what the locals do and most places are family-run. Each stop was like another hidden gem that I might not have discovered. The tour introduced me to Mercat Santa Caterina. I am a huge fan of markets. 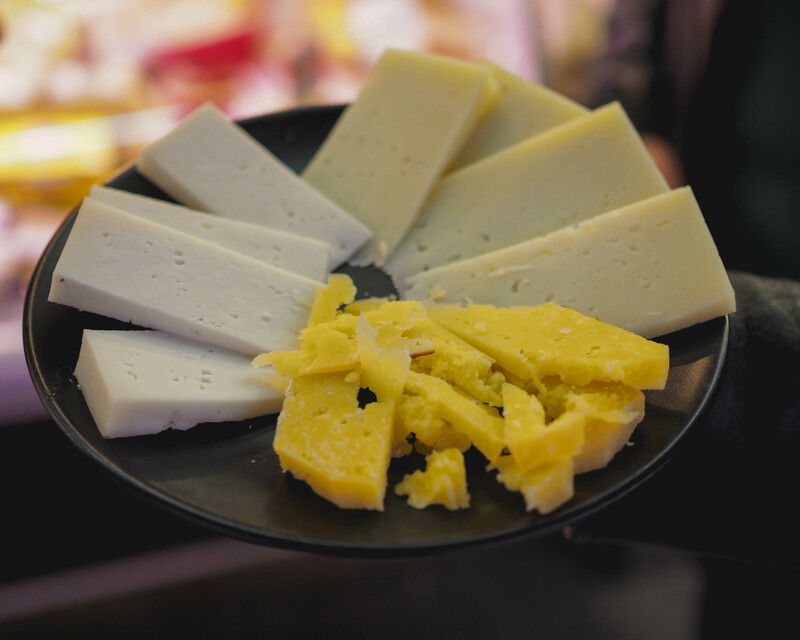 Here we tried several different kinds of jamón and Spanish and Catalan cheese, my favorite being manchego! I also got to drink wine from the porrón, which was so fun. You might have watched that on my insta-stories. 😊 Another stop that I loved was to Pastisseria Hofmann. 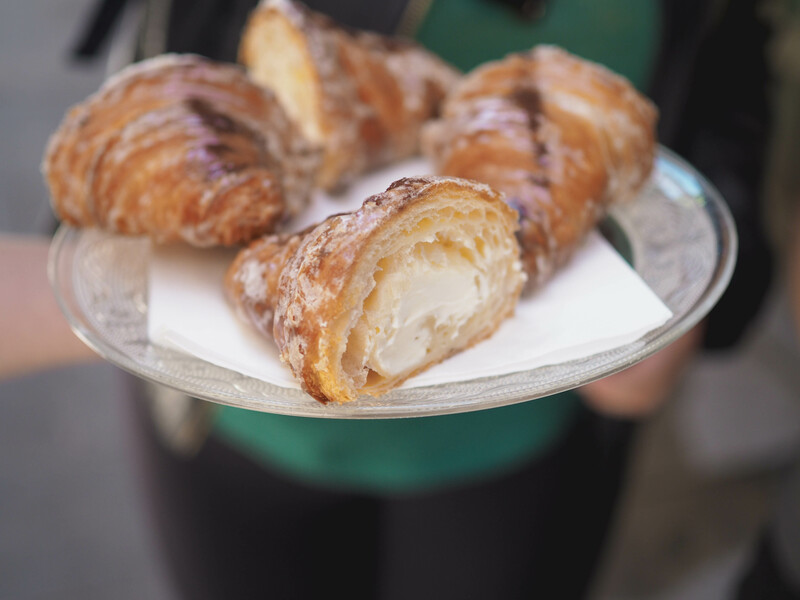 They’re known for their award-winning freshly baked croissants. Omg, YUM! I can’t even put into words how good it tasted. It was hands down one of the best croissants I have ever eaten. I wish I took them home. Writing about it now is making me crave for one. Another really cool place that I never would have known about was Casa Gispert. 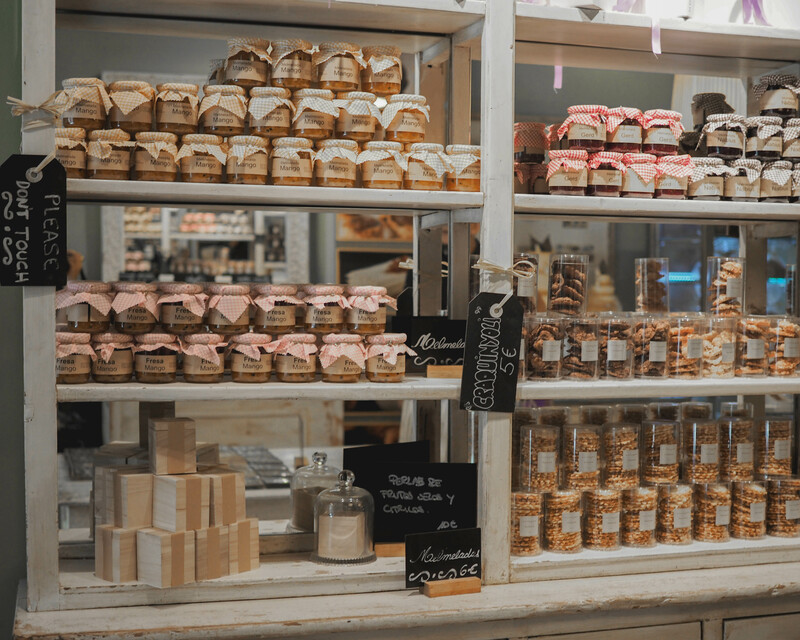 They make and sell all different kinds of house toasted almonds, hazelnuts, walnuts and more. I actually got to watch part of the process. 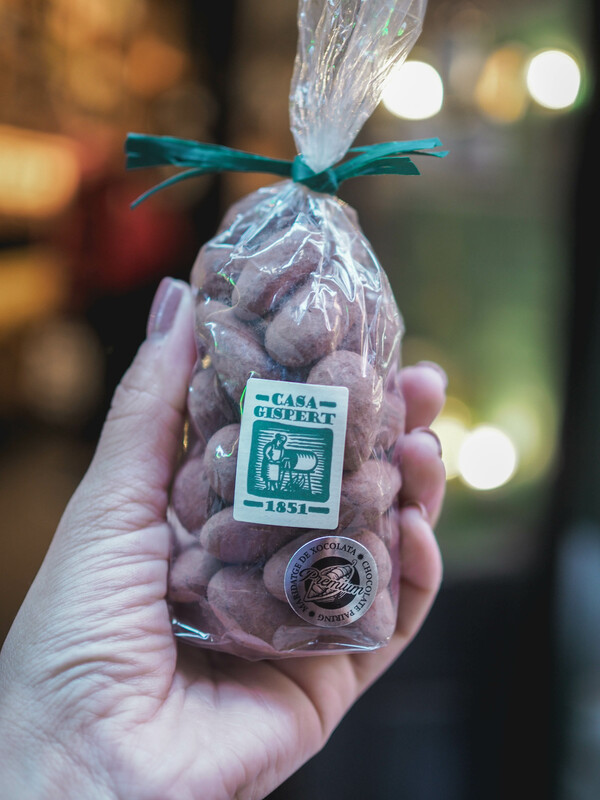 I kid you not, these were the best almonds I have ever tasted. I loved the coco covered ones so much that I bought some to bring back home. 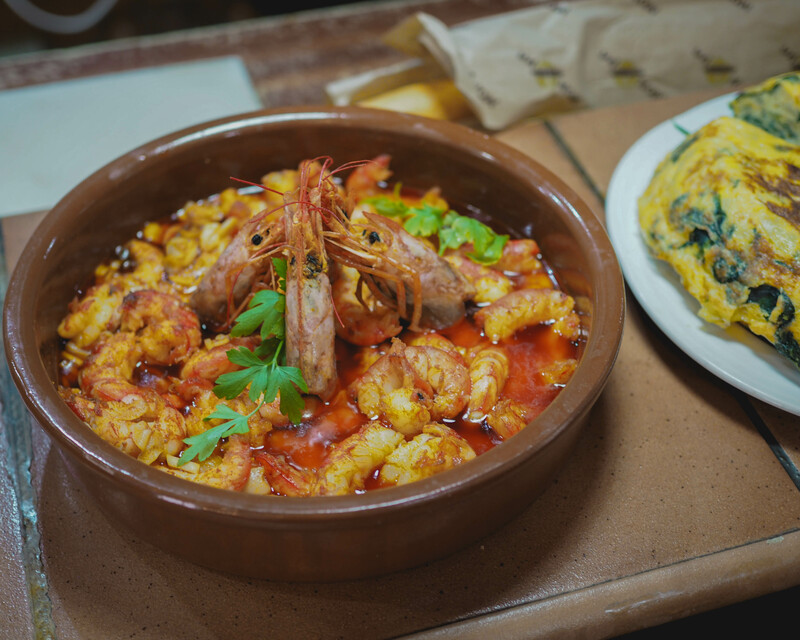 Besides being introduced to new food, I was also introduced to other areas of Barcelona, like El Born and Barceloneta, that I might not have wandered to on my own. That’s actually how I first came across the beach. Our tour ended just two blocks away from it! We finished things off at Cal Papi for a full lunch and some wine, where Mama Carmen made us her homemade cod-fritter and fideaú. 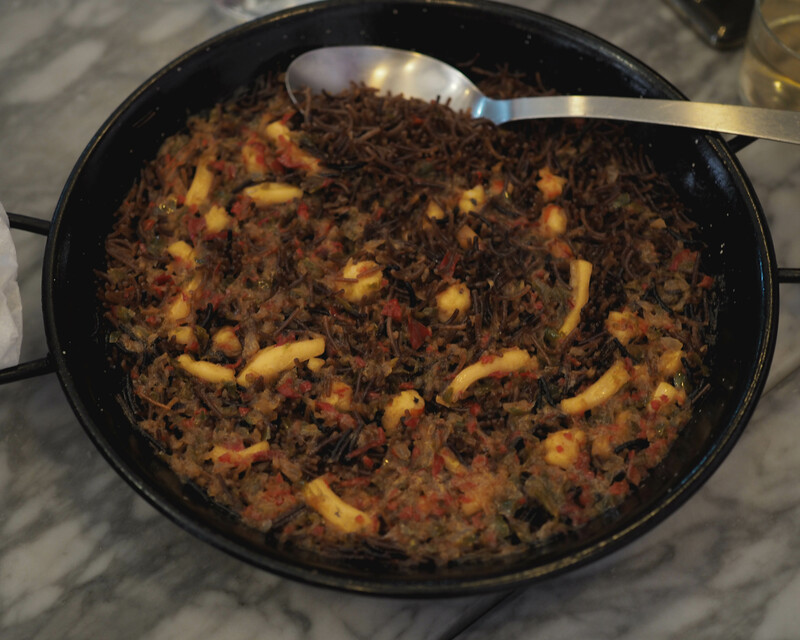 I had never heard of fideaú before. In Barcelona, they call it paella’s cousin and now I know why! The food was delicious. We got to chat for a few with Mama Carmen and I loved her personality. She’s well known in the area for her restaurant and yummy food. 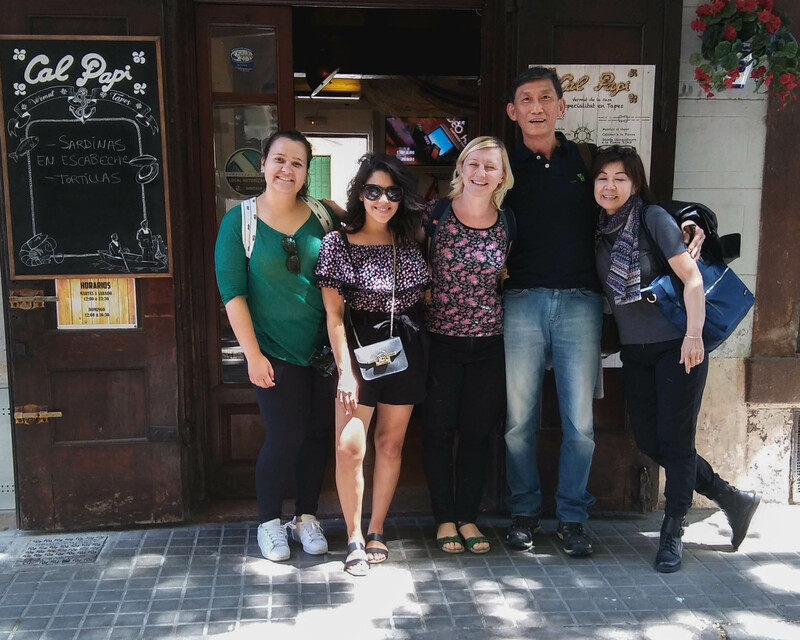 Besides tasting all the tapas and exploring other parts of Barcelona, the best part was making some new friends from other parts of the world. 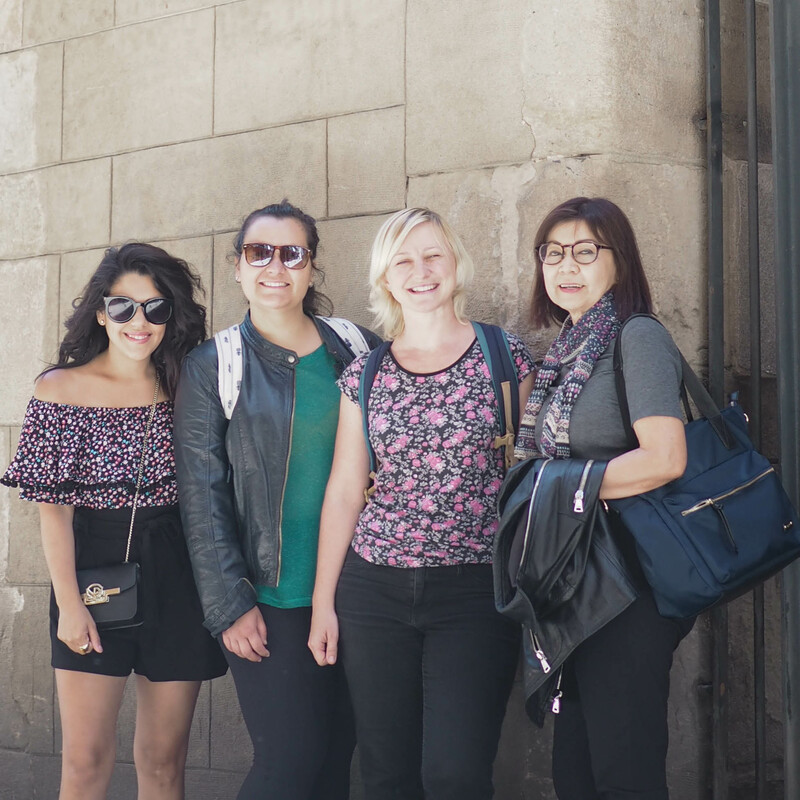 Our group was really small, just 5 of us including our lovely guide Paulina, so it gave us the opportunity to truly interact and connect. I loved getting to know more about them and all their stories. I got to share a little of mine too. Paulina was so sweet and such a great tour guide. She’s from Poland initially and moved to Barcelona several years ago. Bruna is a chef from Brazil who is currently living/working in France. Then there was a fun-loving couple from Singapore who told me to go and visit them! I had a fun three and a half hours with all of them. Make sure to devour Spain like a local! Whenever you make your way out there, I definitely recommend booking a tour with Devour. 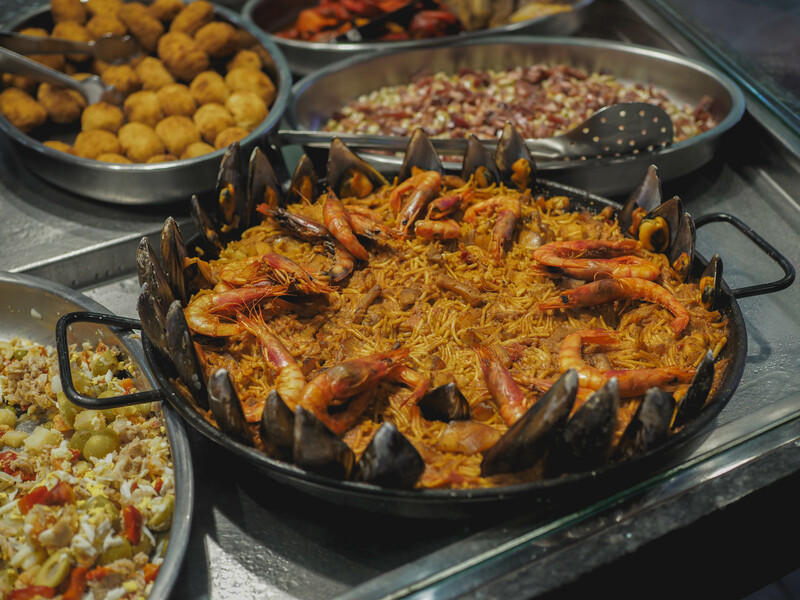 It really is the perfect way to meet new people, experience the culture, and indulge in some of Spain’s finest local foods. This was definitely one of the highlights for me during my time in Barcelona. 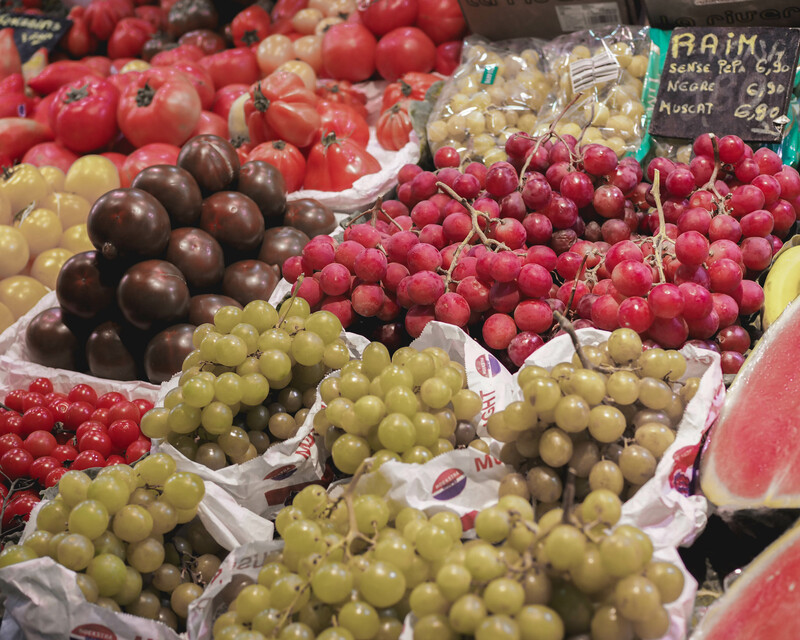 Have you ever done a food tour before? Would love to know about your experience! Stay tuned for more Barcelona posts coming next week. 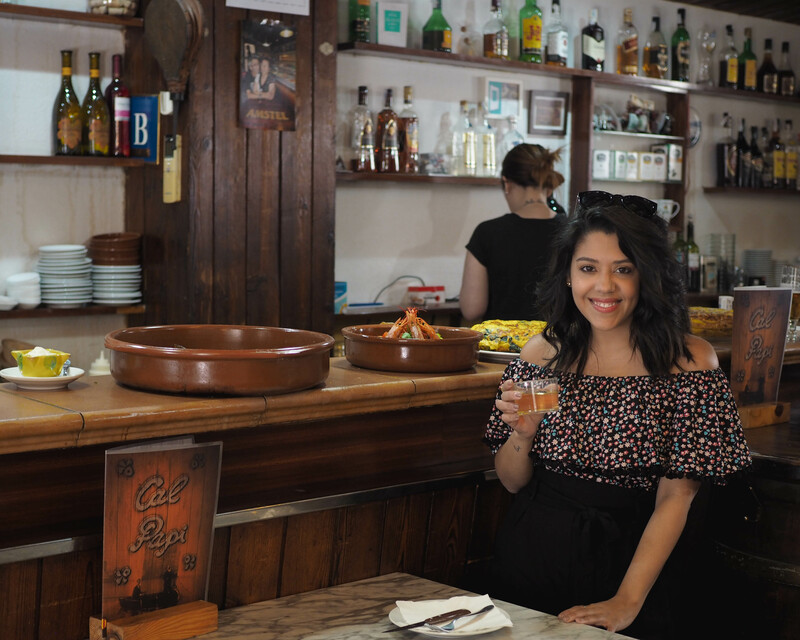 Don’t forget to check out my 48 Hours in Sevilla and my Madrid Travel Diary/Travel Guide. Happy weekend! Thank you so much to Devour Tours for hosting me on this tour! As always, all opinions expressed are my own. Good job in covering so much detail on your food tour. It certainly made me hungry. I can see how happy you were being there. I cannot stress enough how proud I am of you doing solo travels. You never cease to amaze me! God bless you! Love you! I have to take you on one whenever we go to Spain!! I loved this! I consider myself a foodie and absolutely loved this food tour. Please do more of them!